Sing and Sway Your Summer Away! https://mylittleconservatory.com/wp-content/uploads/2018/06/MLC_logo-1.png 0 0 My Little Conservatory https://mylittleconservatory.com/wp-content/uploads/2018/06/MLC_logo-1.png My Little Conservatory2016-04-15 03:47:242018-12-18 21:35:08Sing and Sway Your Summer Away! At Kindermusik, we’re all about great ideas and helpful tips that make parenting just a little bit easier and a whole lot more musical. And now that Spring is just around the corner, we thought we’d share some music and movement ideas for celebrating spring… and creating some very happy memories! 1. Go for a listening walk. There are all kinds of sounds to be discovered outside, especially in the Spring time. Listen for, imitate, and then talk about the sounds that are all around. 2. Take advantage of springtime showers. 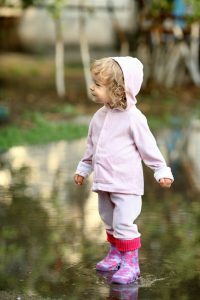 Those brief, light spring showers do more than bring May flowers… they also leave perfectly sized puddles that are great for jumping, stomping, splashing, and giggling! 3. Blow bubbles on the porch. There’s nothing more delightful than bubbles. But bubbles aren’t just for fun, they also help little eyes learn to track and follow moving objects and little eyes and hands to improve eye-hand coordination. 5. Work on some spring cleaning together. We think music makes everything better, and that includes spring cleaning. Give your child a soft cloth or small duster and let them help. Sing and dance the chores away! 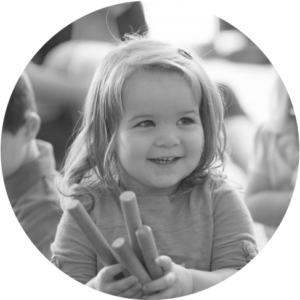 Try a free Kindermusik class today so you have even more ideas for making your home and your child more musical!